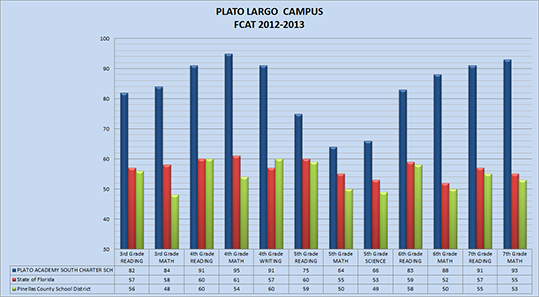 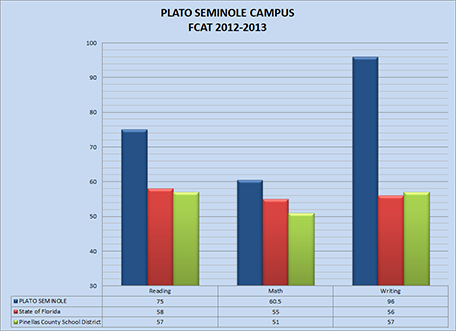 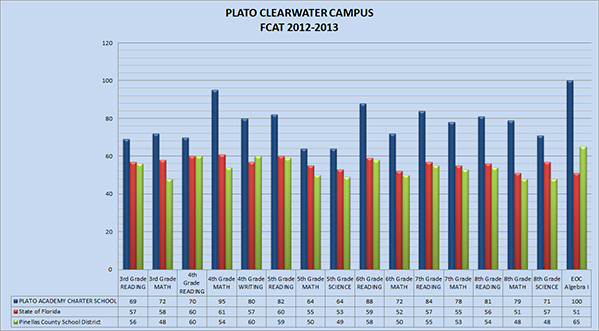 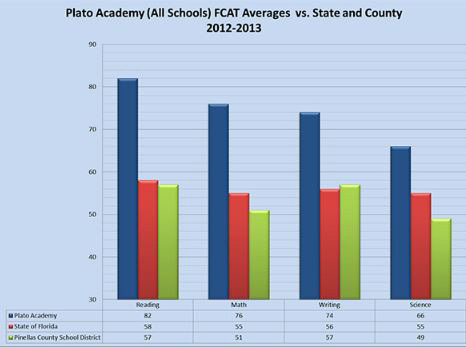 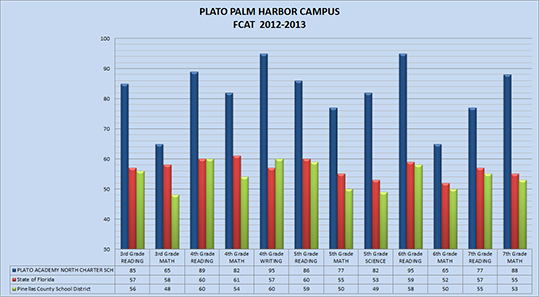 Plato Academy’s ELL,ESE, Economically disadvantaged, Hispanic and Black/African American students performed 101% BETTER than their peers in Pinellas County Schools. 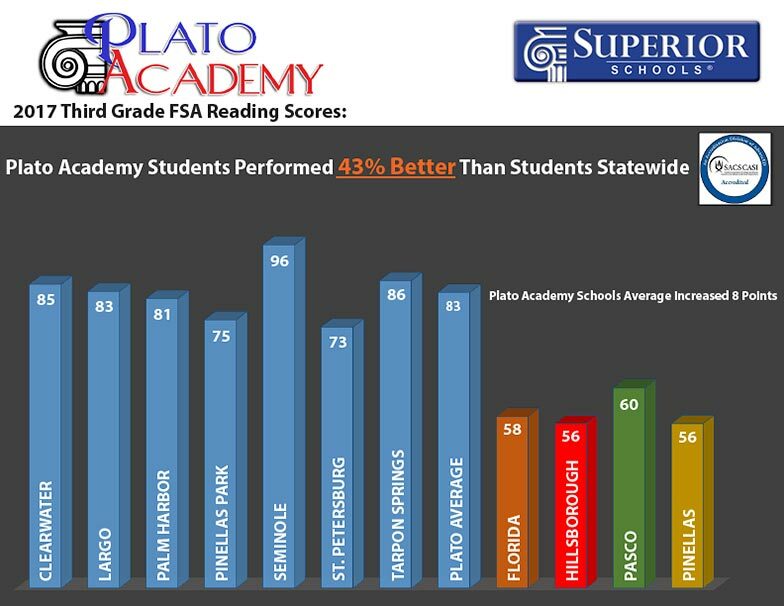 Loyal, hard-working people, reliable materials, moral ideas, and honest communication all come together at Plato Academy with positive results. 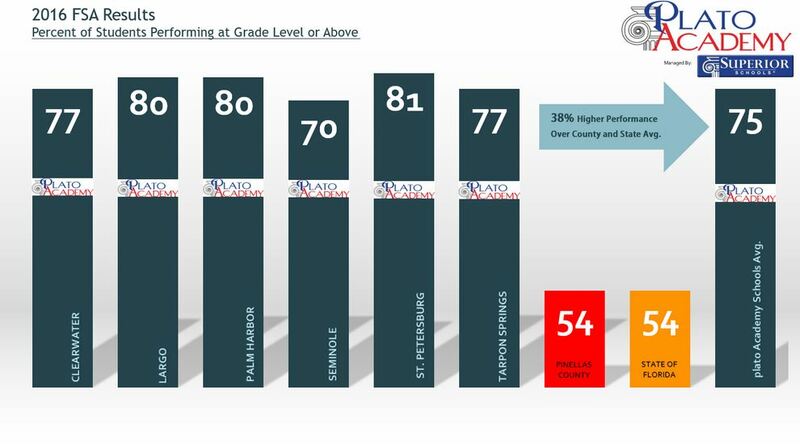 The secret of our success is our uniting purpose: the continuous improvement of student performance. 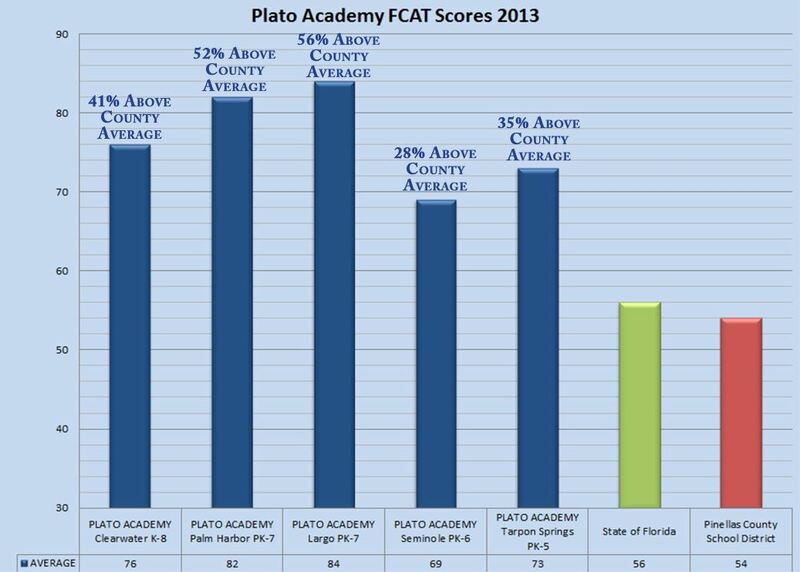 Our mission unites us and drives our actions—it is our identity. 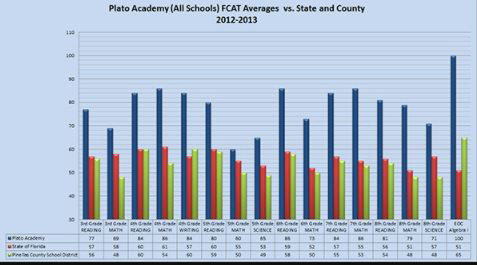 By challenging our students to discover and pursue varied interests and explore new possibilities at Plato Academy, we give them intrinsically valuable reasons to master skills that prepare them for any test and, more importantly, for happy and successful lives.